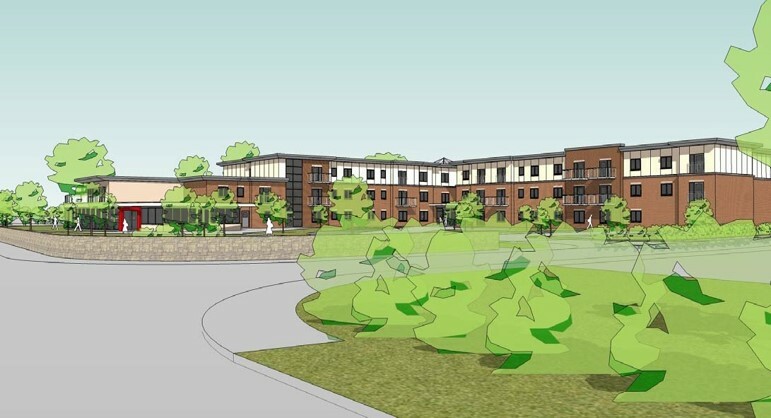 This new build development consists of a 63 unit Extra Care Facility in Telford, Shropshire. The building will combine elements of traditional masonry construction and a lightweight steel frame, accommodating communal facilities and a picturesque residents garden. Due to be completed in the summer of 2016, the development will add to the much needed provision of assisted living facilities within Shropshire county. Fellows worked closely with the Developer / Main Contractor to consider alternative construction methods which could potentially save time, labour and materials. This was critical due to the inherent price increases being imposed on masonry products and the wage demands of brick layers being experienced across the construction industry. As a result of this process, the contractor was able to reduce the programme and make savings in terms of labour and materials, by implementing a lightweight steel frame as a replacement for load bearing masonry construction. This design change produced savings in the region of £150,000. Indeed, these savings were accompanied by a further £300,000 saving against the original Contract Sum through the process of Value Engineering.